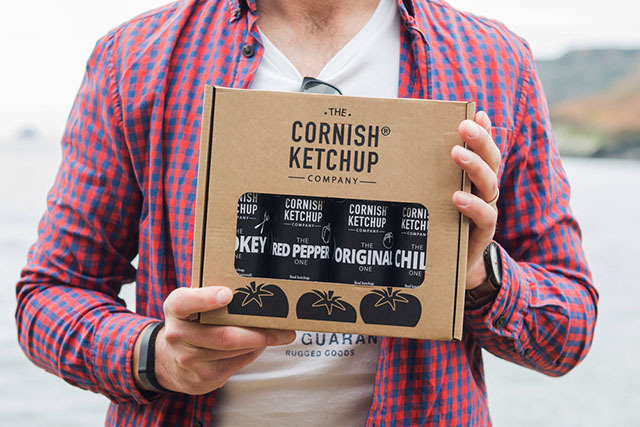 Chris and Kris, two food-obsessed Cornish boys, were fed up of the lack of high quality ketchup on the market and decided to develop a real quality ketchup that complemented all their favourite foods instead of completely overpowering them. Armed with a large stock pot, plenty of ideas (and a shed load of tomatoes) they set about creating their very own range of ketchups. 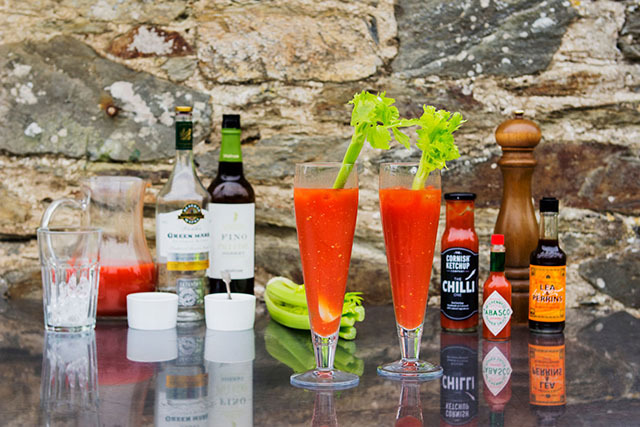 In 2013 The Cornish Ketchup Co. was born. Soon there were four flavours on the market: The Original One, The Smokey One, The Chilli One and The Red Pepper One. Many of the tomatoes used in the ketchup are grown by local community interest company People and Gardens. Four years later, after a couple of awards and a lot of hard work, they have launched two new flavours: The Brown One – their take on a brown sauce – and The Hot One, a very fiery addition to the ketchup family. Chris and Kris are offering two lucky readers the chance to win a gift pack of their tasty ketchup. To enter, scroll down to the bottom of the page. Add the lemon juice, Worcestershire sauce, Tabasco sauce, tomato juice, horseradish, and Cornish Ketchup ‘The Hot One’. Stir well with a stick of celery. Adjust the seasoning, to taste, with salt and pepper and serve straight away. We have two lovely gift packs to give away. All you need to do is enter your name and email address below by noon on Friday 3 March. Two winners will be selected at random and notified by email. The two prizes each consist of a gift pack of ketchups, as provided by The Cornish Ketchup Company. Employees of Barefoot PR Ltd. and The Cornish Ketchup Co. and their families, are not permitted to enter. Beautiful photography by Sally Mitchell, Design Room Cornwall.